The most popular way to integrate Broadbean with WordPress. 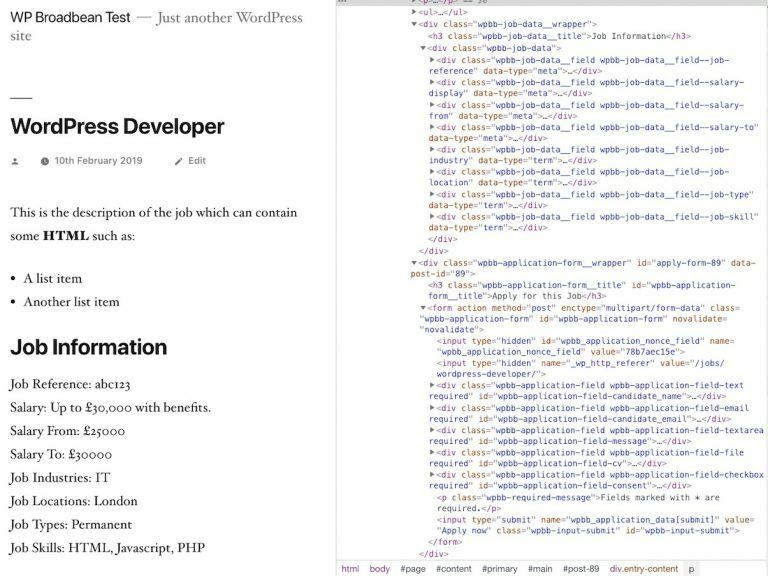 This free, open source WP Broadbean plugin allows you to easily integrate Broadbean job posting & distribution with your WordPress website. Do you want to write jobs in Broadbean and have them appear on your WordPress site? 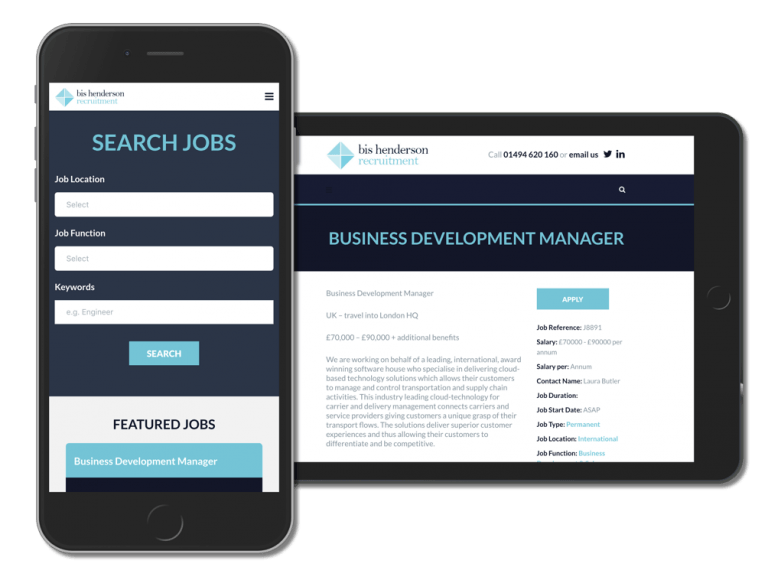 Do you want candidates to apply for jobs on your own WordPress site and have these applicants appear in Broadbean along with applicants from other job boards? If the answer to these two questions is yes, the WP Broadbean plugin is the right plugin for you. Find out more below, or download the plugin from WordPress.org. Download the WP Broadbean plugin from the WordPress plugin repository. This plugin provides the perfect starting point for developers building an integration with Broadbean. It provides a framework for developers who can add styling and functionality to meet the specific needs of the website. Add, edit and remove the different job fields. This allows customisation of the data stored for each job and means you are not stuck with the default data. Add, edit and remove job taxonomies. If you don’t need to group jobs by a specific taxonomy (e.g. job industry) it can be removed, or modified to best suit your needs. Add, edit and remove application fields. 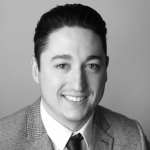 Maybe your client needs to collect specific information from candidates when applying for a job? As the application fields are extensible you have full control over these too. This plugin integrates Broadbean with your WordPress website. However, it is not an out-of-the-box solution. Full setup requires some action from the integrations team at Broadbean in order to build a feed to your website. 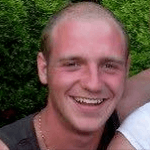 It is likely that you will need a developer to assist in getting this up and running. We, Highrise Digital, offer a fully managed integration service using the WP Broadbean plugin to get your site integrated with Broadbean and allow it to receive jobs and post applications back. This is the perfect solution to integrating your theme with broadbean. Excellent support too! This is an excellent plugin for integrating Broadbean with your WordPress website. Followed Broadbean’s guidelines, set up a feed and installed this plugin. Within a week of tests with Broadbean my website is now posting jobs from Broadbean live without any issues. Would recommend to anyone. Our plugin is packed with enough features to function, without providing bloat, and built in an extensible way, using actions and filters, to allow developers to extend and modify its behaviour without overwriting any of the core plugin files. 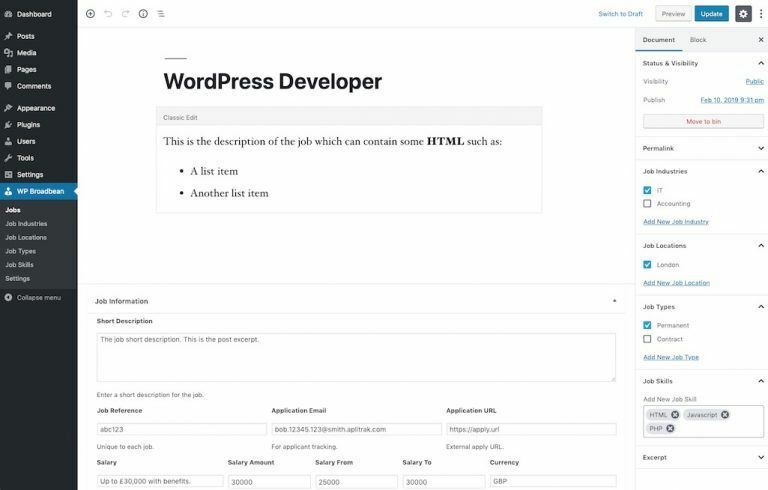 The plugin outputs all of the job data associated with a job on the front-end for you. All you need to do is style this to match your theme and your brand. Easy to use CSS class names and markup make styling the output nice and easy. 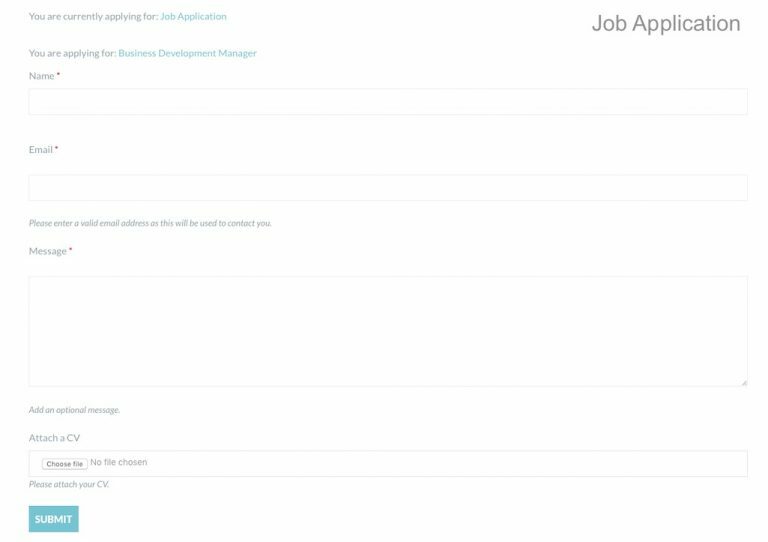 The plugin outputs a job application form beneath each job. 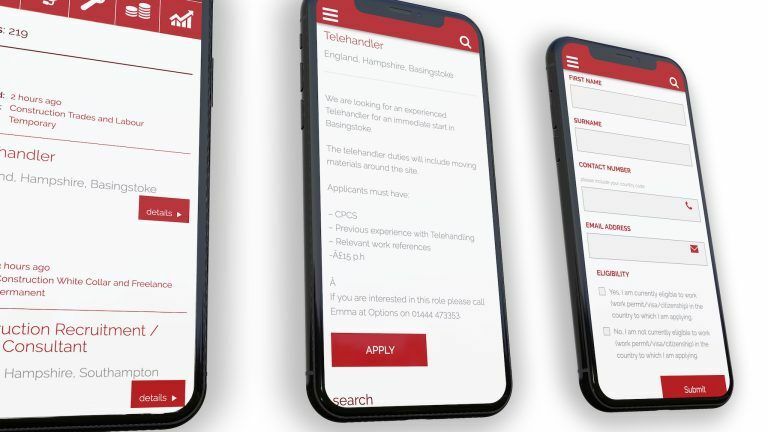 Candidates can apply for jobs using this form and the application entry, along with any attached CV, is delivered to Broadbean, meaning you can view all your applications in one place. The code is built as a framework or foundation for developers to start from and build on top of. The code is very extensible, a strong principle of all code we develop at Highrise Digital. This allows developers to add to, remove and of course modify what is there, tailoring it to the exact needs of clients. Take a look at a video our co-founder gave at the WordPress Cheltenham meetup group which outlines how we go about writing extensible WordPress code. Below we have tried to answer some of the frequently asked questions we have been asked about the WP Broadbean WordPress plugin. If you have a question that is not answered here, please let us know. Is there a charge from Broadbean Technology? This is highly likely as you are going to using their job posting and distribution service. In addition to this, their integrations team will need to develop a feed to your website. This means that when you write a job in Broadbean, you will be able to choose your WordPress website as a posting destination in the same way you choose other job boards. As this process of creating a feed is a development task for the Broadbean integrations team it is likely they will charge for this. The cost is something between the client and Broadbean and does not involve us, hence we cannot advise on how much this cost. It is best to speak to your account manager at Broadbean. What license is the plugin released under? As with all WordPress plugins served through the WordPress.org plugin repository, the plugin is released under the GNU General Public License. What is the process for getting up and running with the plugin? Install and setup the plugin on your WordPress site. We recommend development is done on a staging site in order to get it working. Test the plugin using some local development tools. We recommend using Postman to test sending the XML data to the endpoint. Request your feed build from Broadbean. This will involve setting up a contract which will include any charges from them. Submit your feed via the Broadbean network portal. Handle any questions from the Broadbean integrations team as they build your feed. Move the site to live and ask Broadbean to change the posting URL to the live site, once the integration has passed on staging. Is this associated with Broadbean Technology? No. This plugin is no way associated with Broadbean Technology Limited, the company behind the job posting and distribution system it works with. Broadbean does not officially support this plugin, although they are fully aware of its use and do actively integrate many sites using it. I need some help with the plugin, how do I request this? This should be done using the WP Broadbean WordPress.org support forum. The WP Broadbean is a free, open source plugin which is released under the GPLv3 license. It is distributed via the WordPress.org plugin repository. As such it means that all support for the product must take place on these forums. Posting support requests here not only allows the plugin authors to see the requests but other members of the open source community, who may want to help contribute to the plugin by offering their support and knowledge from others. It also allows others to see the answers to support questions, which may help people both now and in the future. Although we try to monitor this forum and help the best we can, sometimes the nature of specific issues means we cannot help there. In this instance, we do offer paid support. Bis Henderson came to us to integrate their existing site with WordPress. We added a jobs section, allowed jobs written in WordPress to the posted to their site and applications made on their site to be tracked back to Broadbean. If you are looking for something a bit more custom, or some help integrating the WP Broadbean plugin with your website, then we can help. We have been integrating WordPress sites with Broadbean for over 5 years, so have the experience and expertise to deliver simple, or more complex, integrations. The WP Broadbean plugin is not associated or affiliated in any way with Broadbean Technology.